Home » Blog » October is Children’s Vision Month! Did you know Alberta Health Care covers annual eye exams for children 18 years of age and younger? How Do We Check a Child’s Eyes? We check the pupils and eye muscles to ensure they are working properly and together. We also have objective ways to ensure both eyes are getting equal retinal input (refractive error) and the health of the eyes. Our Optometrists recommend the child’s next exam around the age of 2 and then annually after that. Each year that the child gets older we can test more things to ensure the child’s optimal visual and ocular health. Specifically, we test for things such as nearsightedness, farsightedness, astigmatism, colour vision, depth perception, eye turns (strabismus), lazy eyes (amblyopia), eye teaming and focusing abilities and ocular health (both internal and external examination of the eyes). Vision problems in children often don’t show any signs or symptoms. Research has shown that 80% of learning is visual. Unfortunately 1 in 6 children have some sort of a visual problem that can interfere with learning and development. Less than 22% of children have had an eye exam with an Optometrist before entering kindergarten. Did you know that 3% of children have some form of a lazy eye and 2-4% of children have some form of a turned eye (strabismus)? Often times, the vision problem is more than just not being able to see 20/20. Quite frequently, the eyes are not working together (making words jump or blur together while reading). These types of problems inhibit learning. If detected, we can work on resolving these types of issues so that the child can learn to their full potential. Vision problems can also affect hand eye coordination which makes it difficult for the child to participate in various activities or play sports. This can also have a negative impact on social development. Some studies have even shown that 70% of behavioural problems in children have been related to undiagnosed vision problems. 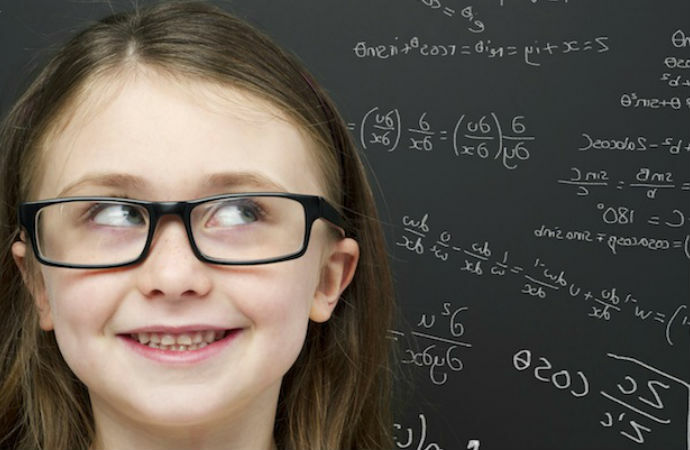 Children’s Vision Month takes place every year in October and was instituted to raise awareness (especially for parents) on how vision problems can have an impact on a child’s learning abilities. There are many vision problems which children can have because they do not know what normal vision is or should be. 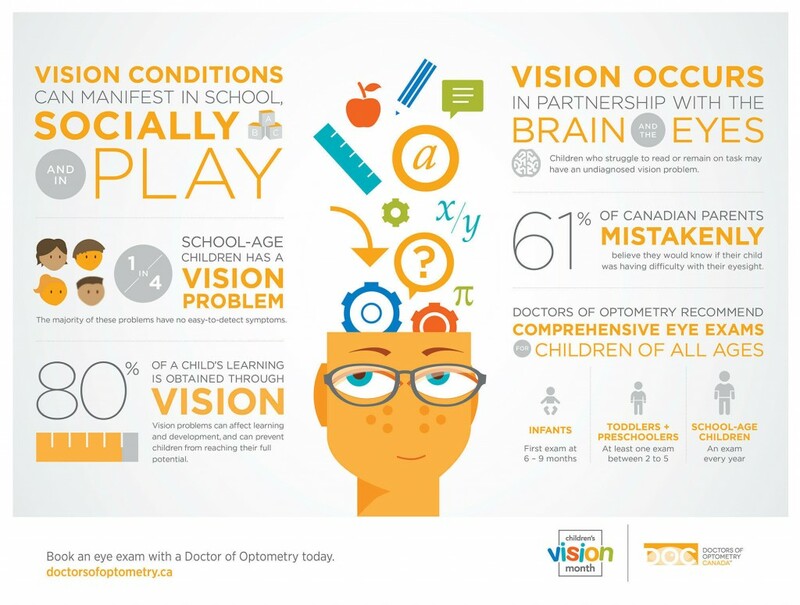 By raising awareness, parents can get educated on the importance of bringing in their children to see an Optometrist for an eye exam (and find out that most provinces health care systems cover eye exam fees for children). The awareness campaign was created by the Canadian Association of Optometrists and the 10 provincial Optometric Associations. Help your child see to their full potential and schedule an eye exam at one of our offices today!